A standard of excellence in personalized dental care enables us to provide the quality dental services that our patients and their families deserve. We provide comprehensive treatment planning and use restorative and cosmetic dentistry to achieve your family's optimal dental health. Building a foundation of trust by treating our patients as special individuals is vital to our success. We understand how uneasy some patients may feel about their dental visits, and how we can make a difference in providing a relaxing and positive experience. Our entire team is dedicated to providing you with excellent, personalized care and service to make your visits as comfortable and pleasant as possible. 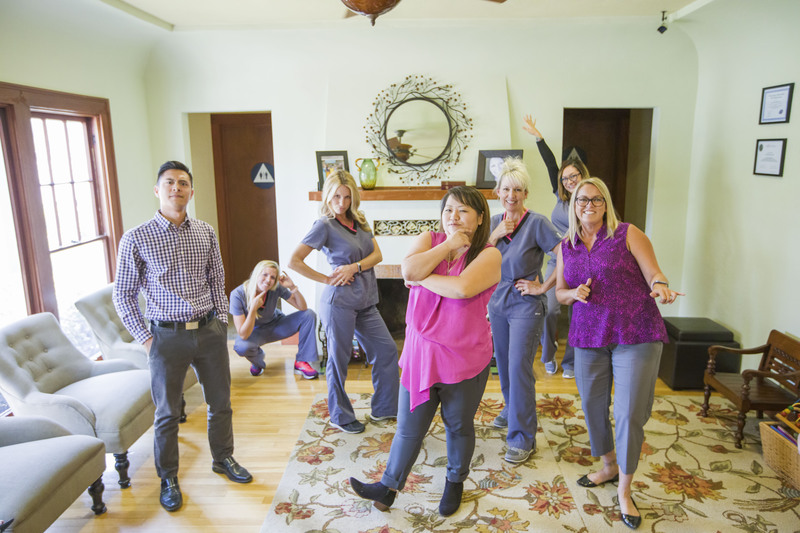 We also love our patients and love to have fun! 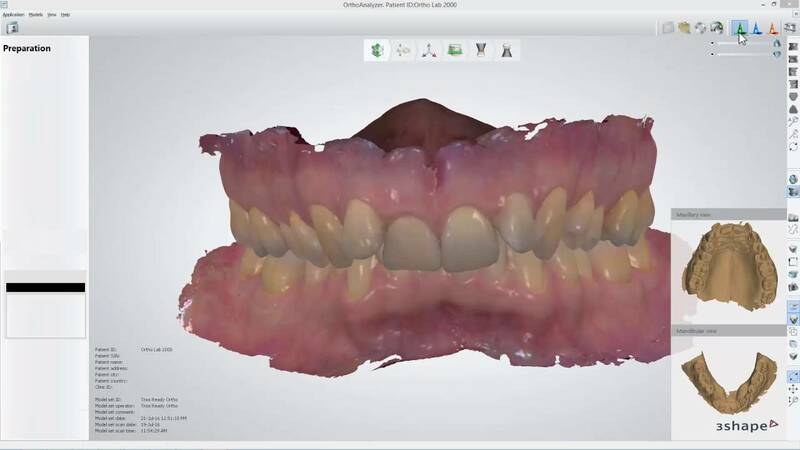 With this technology, our dentists can see the exact positioning of your teeth and jaw in full 3D. This allows for much more accurate diagnosis and treatment planning above and beyond the traditional 2D x-rays. Dentists can now create computer-guided stents for implants and advanced orthodontic planning before any treatment is done. 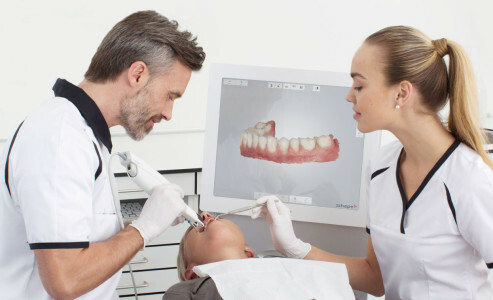 The Cone Beam also allows the dentist to view structures of the face, jaws, and teeth in cross section, eliminating the "best guess" from traditional dental diagnosis. Do you hate having impression material in your mouth? The gagging, the drooling, the waiting... we understand it's not comfortable. That's why our office is now equipped with the Trios intraoral scanner. 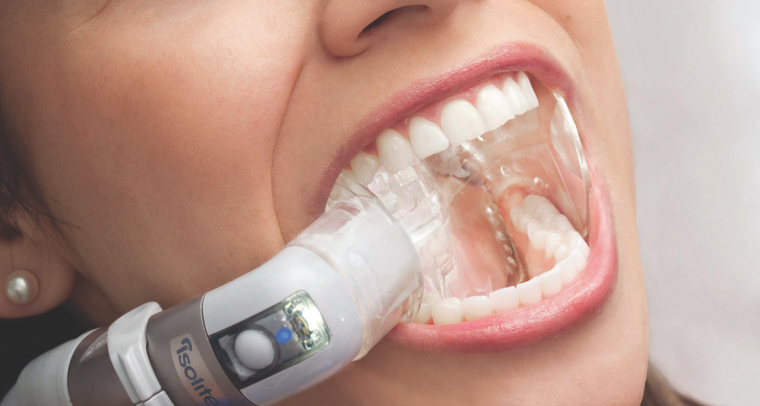 Now, we can easily and comfortably take a digital impression of your mouth using our intraoral scanner. No impression materials, no trays, no waiting. A scan of the entire mouth takes less than a few minutes to do and provides superior results. Gone are the days of rubber dams and multiple people tugging on your cheeks. Our office utilizes the Isolite system which protects the other tissues of the mouth, keeps the area dry with continuous suction, lights up the mouth for easy visualization, and provides a built in bite block for patients to rest their jaw while the dentist is working. A lot of our patients are able to take a nap during the entire procedure with an Isolite mouthpiece in place. Our state-of-the-art Waterlase system allows our dentist to practice with the precision of lasers. Small fillings can now be done without the need for anesthetic (numbing). Gum surgery, frenectomies, and cosmetic procedures can all be done with lasers, reducing pain and bleeding with faster healing times. 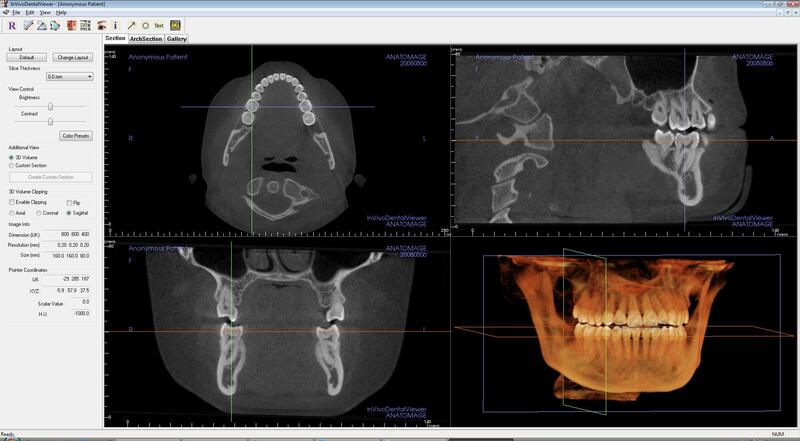 Digital x-rays are now the standard of care in dentistry. Not only are the digital sensors more comfortable, they require only a fraction of the radiation of traditional film. They also reduce the amount of time necessary to take x-rays and eliminate the need for harsh chemicals to process them. Digital x-rays systems provide high contrast and resolution, allowing for much better diagnosis and comprehensive treatment. Our office has gone paperless. For the convenience of our patients, all of our forms, x-rays, and documentation are done electronically on iPads. We take patient privacy very seriously and have safeguards in place to make sure there is no unauthorized access to your information. Being a digital office also allows for better efficiency in insurance billing and keeping patients' records together to avoid loss and delay in processing. Our electronic system also provides appointment reminders and confirmation via email or text message. Never miss another appointment! Each room is equipped with their own intraoral camera which allows us to take close up photos of your teeth and gums from inside your mouth. Have you ever wondered what your back tooth looks like? Now you can see it right on the iPad with a simple click. Insurance claims with photos attached have a higher payment rate than claims sent without them. Make sure your insurance pays your claims by going to a dentist with intraoral cameras. Intraoral pictures also give the dentist the ability to track the progress of your treatment or progression of oral conditions visually. We thank you for allowing us to take care of your dental needs and look forward to serving you. If you would like to schedule an appointment or have any additional questions about our services, please contact us at our Hanford dental practice today!